Renee Arrington excels in recruiting talent for the board room and senior executive suite, bringing more than 20 years of retained executive search experience to every engagement. Her consultative partnership approach, combined with a sterling business reputation and strong industry connections, contributes to her success and long-lasting client relationships. In addition to leading Pearson Partners' Fort Worth office, Renee leads the firm's CIO and IT Leadership practice, working with clients in technology, retail, financial services, business services, distribution, and research and development. Renee invests extra time to walk her clients' halls, study their business and culture, and incorporate assessment tools and diversity efforts, helping them attract and hire leaders ideally suited for their business life cycle and challenges. She believes that an added benefit of a well-run search is the valuable insight she is able to communicate to her clients into how their company is perceived by the market and top candidates. Excellent client service, good listening skills, creativity and tenacity are some of the hallmarks of Renee Arrington's success as an executive search consultant. Prior to joining Pearson Partners in 2006, Renee was a vice president in the technology practice of A. T. Kearney Executive Search, a global retained search firm. She was previously a shareholder and partner in the technology practice of another global search firm, Ray & Berndtson, also known as Paul R. Ray & Company. Renee is a founding member of the Executive Career Council for the Society for Information Management (SIM) Dallas Chapter, and is currently the chair of its Philanthropy Committee. She serves on the Dallas Regional Chamber's Executive Women's Roundtable, which brings together executive women from a variety of industries and professional disciplines to discuss business issues and challenges and broaden their professional perspectives. 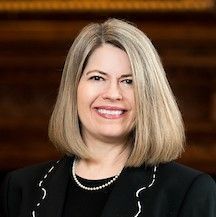 She is a past member of the board of directors of North Texas Public Broadcasting (NPR affiliate), past president of the board of directors of the YWCA of Fort Worth and Tarrant County, and past chairman of the board of Fort Worth YMCA Westside Branch. She was honored by the YWCA as an Outstanding Woman in Business in 2000. Some of the highlights of Renee's time with Pearson Partners include occasionally moderating the firm's Spotlight Series breakfast events. She has led panel discussions on the topics of "Women Leading Companies: Creating Access to Capital, Opportunity, Talent and Teamwork" in 2012, "Innovation and the Customer Experience" in 2010, and "CIO: The Path Beyond the Position" in 2008. Renee has written a monthly column for CIO Decisions magazine, and has been quoted in The Wall Street Journal, CareerJournal.com, IT World, Network World, and "Business Process Outsourcing: The Competitive Advantage" (Wiley, 2005). Renee enjoys public speaking and frequently delivers keynote addresses and participates in panel discussions at events in major US cities.